Hello again!!! I haven’t stopped putting food on the table but the end of summer caught up with me – produce to harvest, trips to take, classes to teach … and then came the holidays. Somehow writing about and taking pictures of the dishes we were enjoying fell to last priority and here it is almost the end of February. 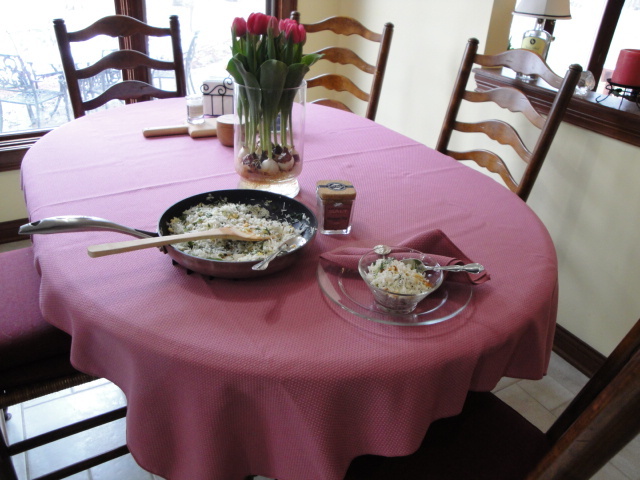 But now I’m determined to get back into the swing of sharing our family favorites. So here we go! 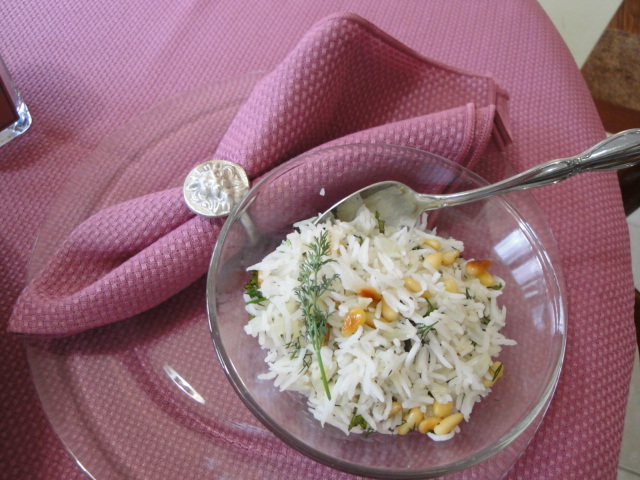 The original recipe uses white long grain rice but I love the flavor and texture of steamed Basmati. A trip to the grocery store was necessary for this one as my mint and dill are now under a light blanket of snow but spring is just around the corner and soon I’ll be able to whip this one up with ingredients that are always in my pantry, freezer and refrigerator. 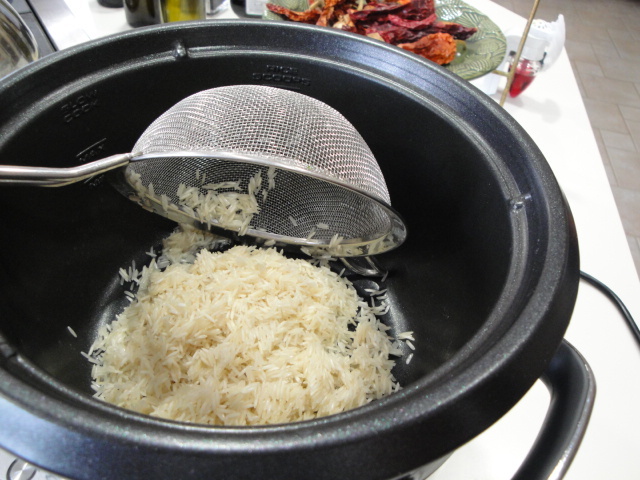 Start by putting the Basmati Rice in a fine mesh strainer and rinsing under cold water until the water runs clear. 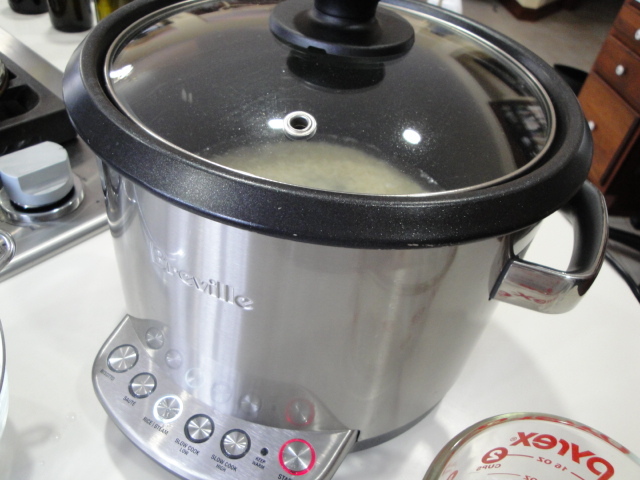 Then put the rice into a rice cooker along with the water indicated on the package and steam. If you don’t have a rice cooker, simply follow the instructions on the package of rice but I highly recommend adding a rice cooker to your kitchen if you don’t have one! It takes all the guesswork out of steaming rice perfectly and allows you to concentrate on the other components of dinner without the stress of watching the rice. Rice cookers/steamers come in all sizes and price ranges, but to be honest I’ve had great success with the simplest and least expensive models. 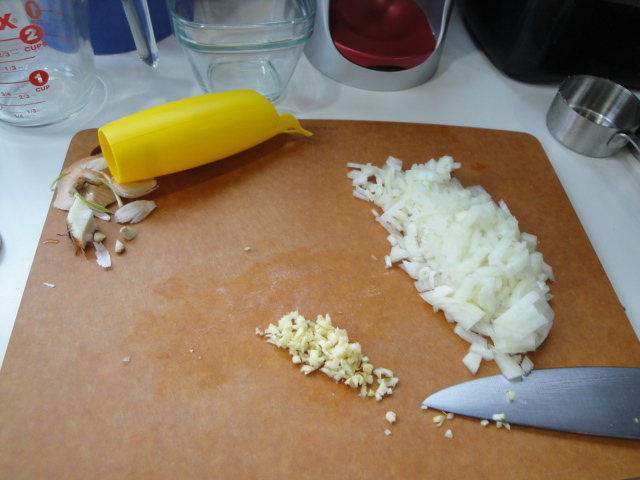 While the rice is steaming you can move on to the rest of your mise en place. 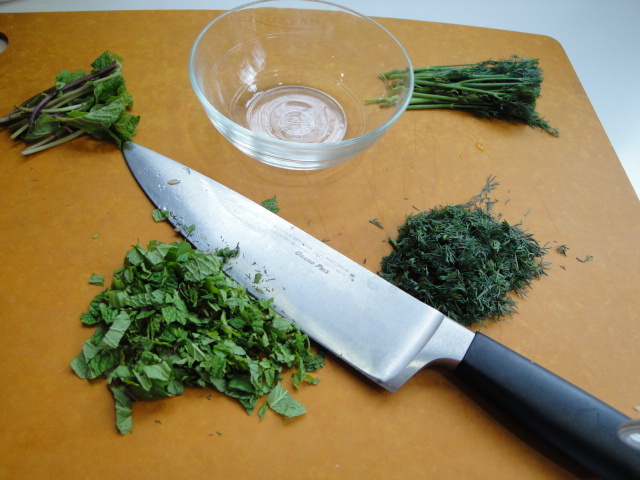 The timing should be just about perfect if you’ve been practicing your knife skills. At this time of year, some of my garlic is starting to get those little green sprouts inside. 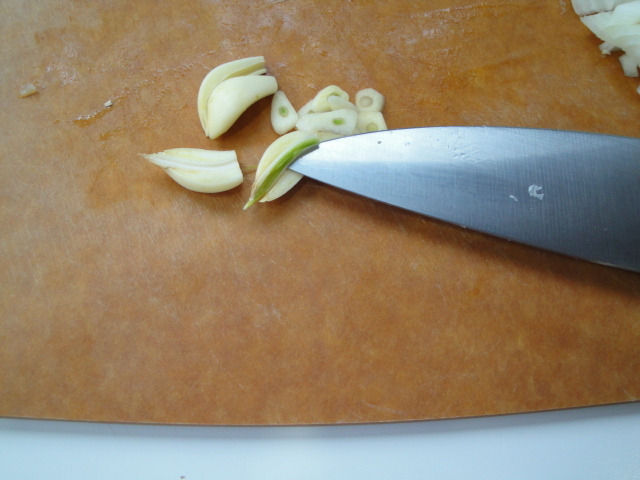 Simply slice it in half and use the tip of your knife to remove it (it can be a bit bitter). Finely dice the onion, mince the garlic, mint and dill, zest and juice the lemon. 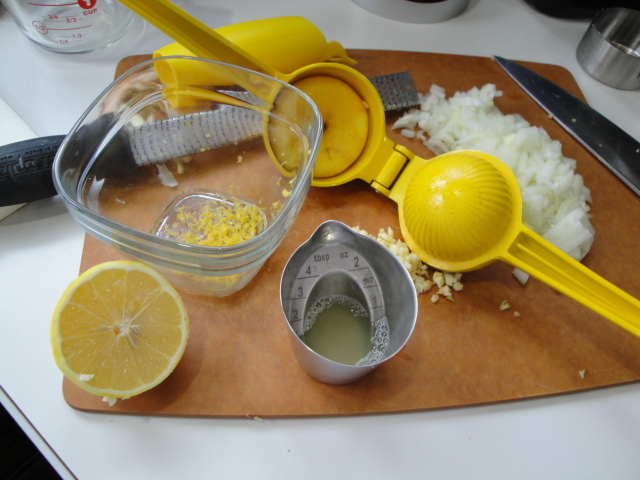 Half a lemon is just about a Tablespoon full. 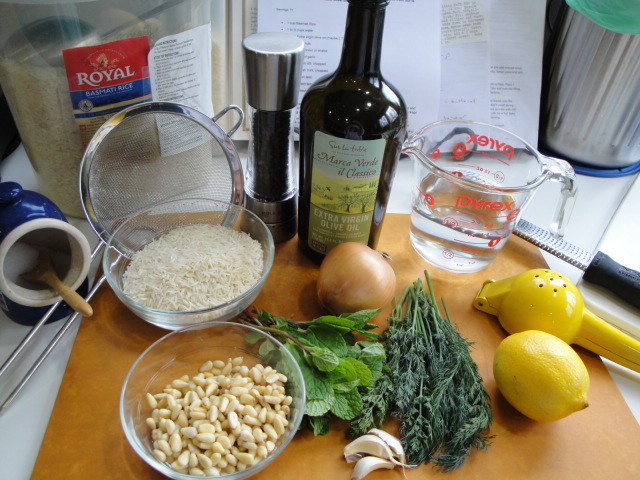 But remember, this isn’t baking, so a bit more or less of any ingredient is ok.
Toast the pine nuts in a dry skillet until lightly toasted and browned. 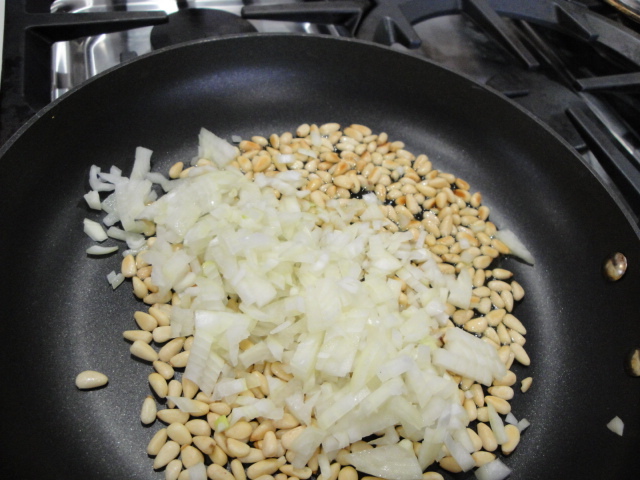 When the nuts are nice a toasty, add the olive oil and onions to the skillet and saute until the onions are soft and translucent. 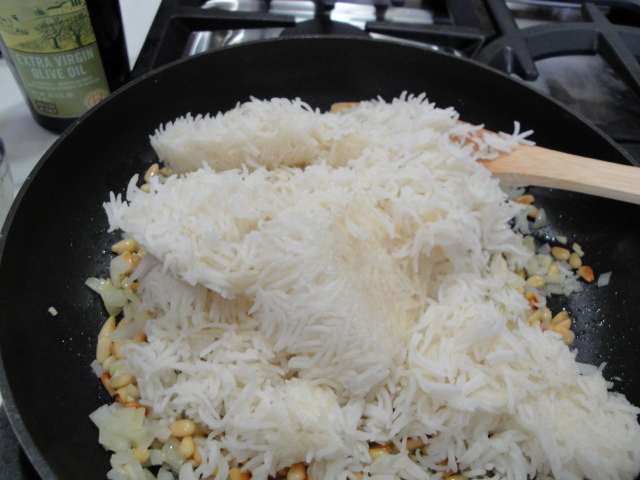 Then add the garlic, give it a stir and add the cooked rice which should be ready and waiting for you. If it’s not quite done, remove the skillet from the heat until it is. Burnt garlic is not tasty!!! 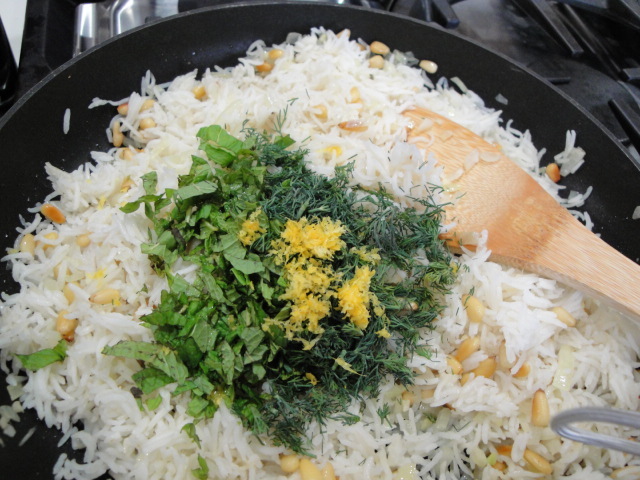 Stir in the lemon juice, zest, mint and parsley. Add salt and pepper to taste. And as easy as that, lunch is served! 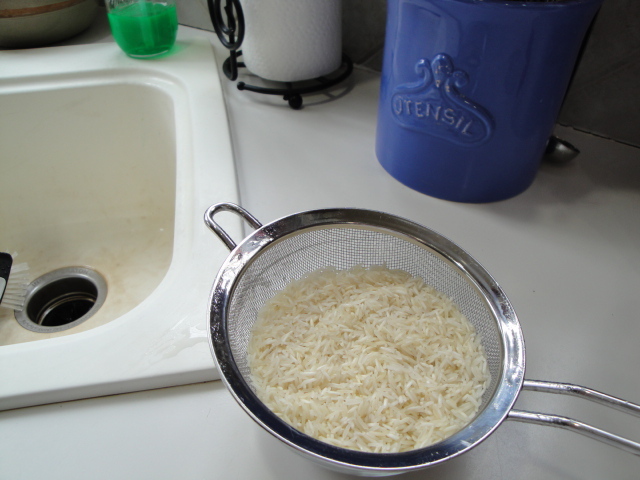 Place the rice in a fine mesh strainer and rinse under cold water until the water runs clear. 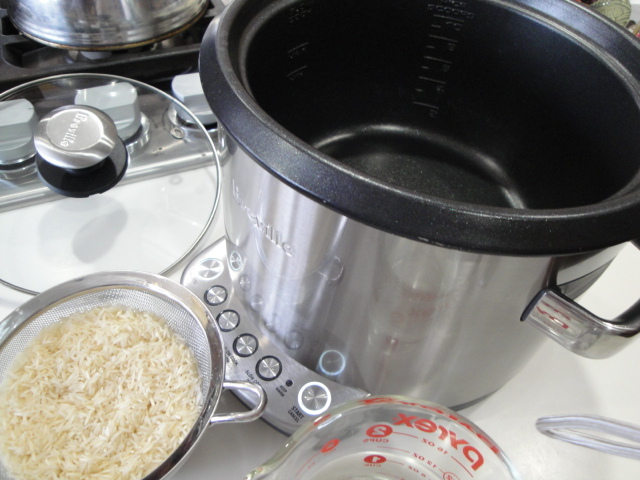 Place rice and water in a rice cooker and steam. If you don’t have a rice cooker follow the instructions on the package of rice you are using (but I highly recommend rice cookers :-). 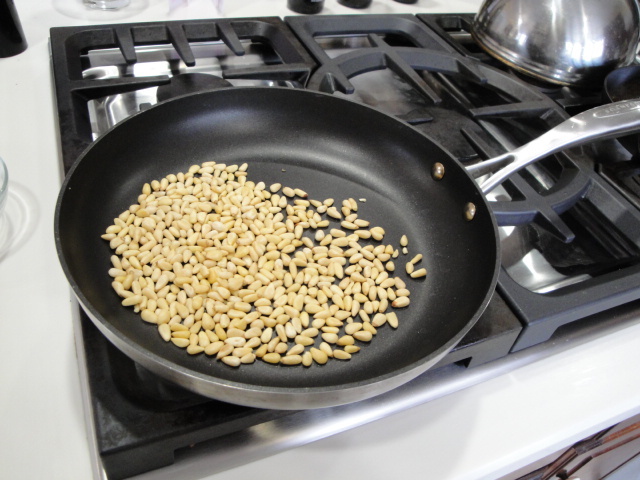 In a medium skillet on medium heat, toast the pine nuts until lightly browned. 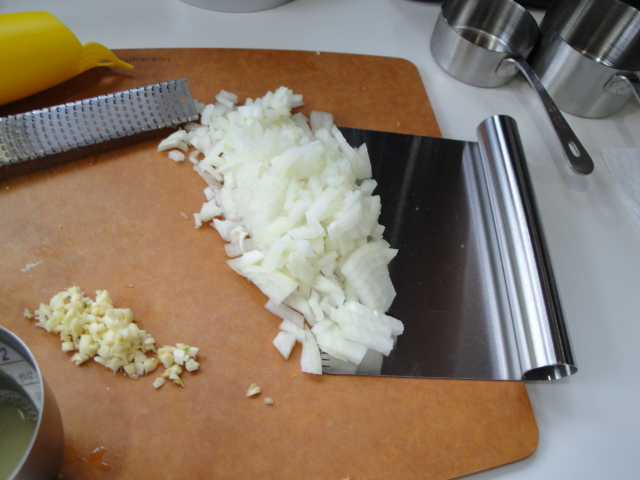 Add the olive oil and minced onion sauté until the onion is translucent. 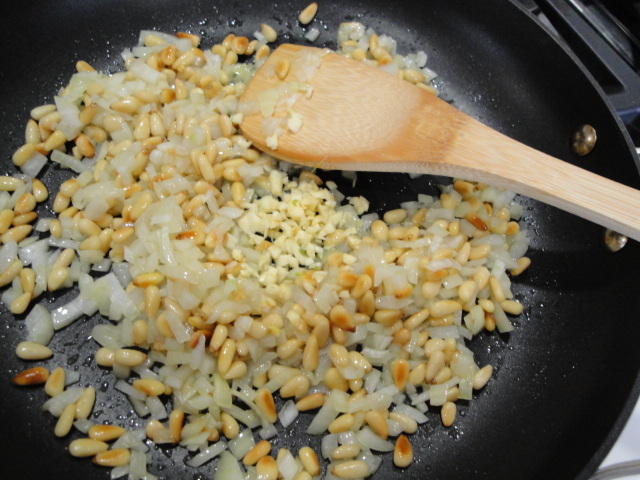 Add the minced garlic, stir and remove from heat. 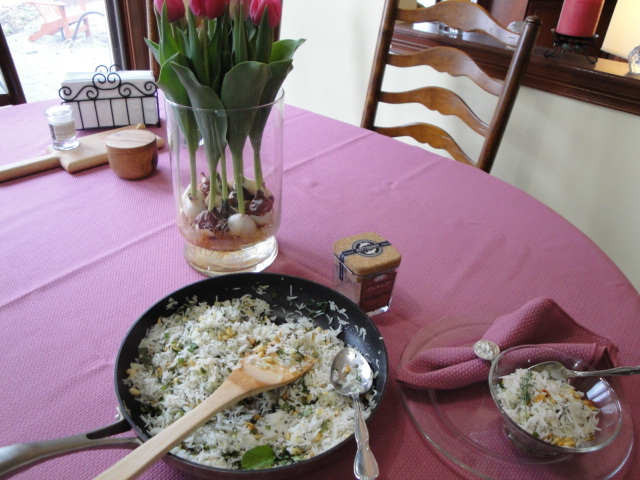 Stir the steamed rice into the onion mixture and then stir in the lemon juice, zest, dill, mint and salt and pepper to taste.